Smallholders control an important portion of forestlands in the Ecuadorian Amazon. Timber is not the main source of income but contributes to complement relatively diversified livelihood strategies of smallholders. Timber extraction is stimulated by a vigorous network of intermediaries linked to the end-markets in the cities. Most small-scale operations are undertaken informally since smallholders require complying with still cumbersome procedures in spite of state efforts for simplifying the forestry regulations. 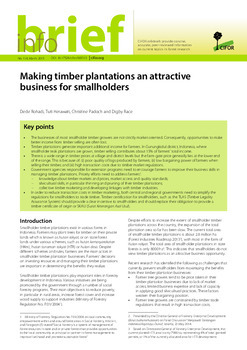 Benefits for smallholders from timber extraction depend on how the harvesting operations are organized and whether they involve the participation of smallholders as well as on the species harvested, and whether these operations are conducted with a formal permit or not. 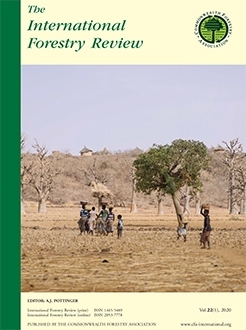 This paper assesses the role of timber in smallholders’ livelihoods, the influence of how timber operations are undertaken has on benefits distribution, and the role that urban markets have on shaping the dynamics of timber supply. 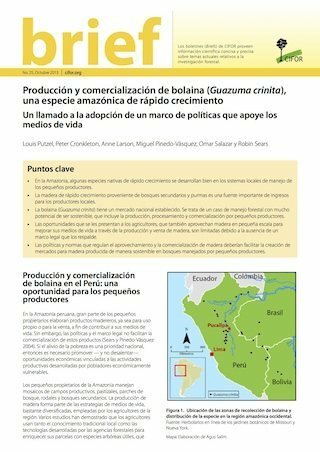 Authors: Mejia, E.; Pacheco, P.; Muzo, A.; Torres, B.